Description: The overlay has an ornamental image of the bride and groom with a very decorative and traditionally designed shehnai arrangement backdrop design infused with paisley moitfs in blue. A paisley motif border is below it with shimmering kundan work. 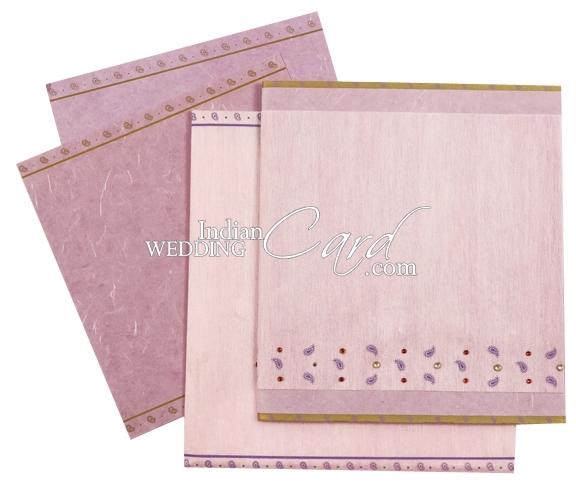 The front has golden borders and light purple paisley motifs the inserts and docket have golden paisley motif borders. 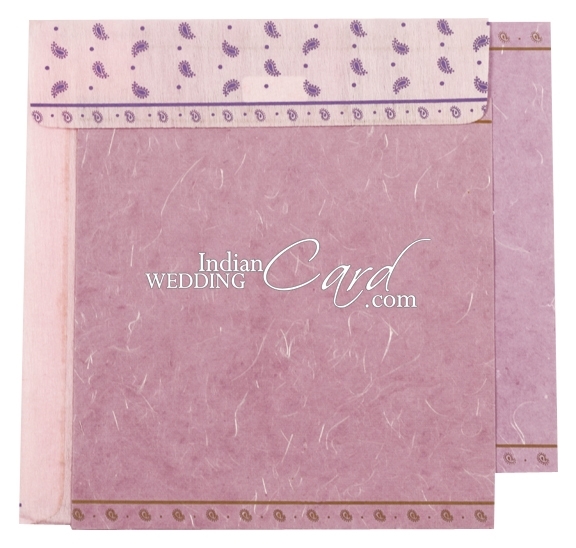 The envelope has a paisley motif border and flap base in gray. I have recieved my parcel today and I am delighted with the results. Naturally I would like to give many thanks to the whole team. I have been impressed with the high levels of communication involved and the fast and efficient service. 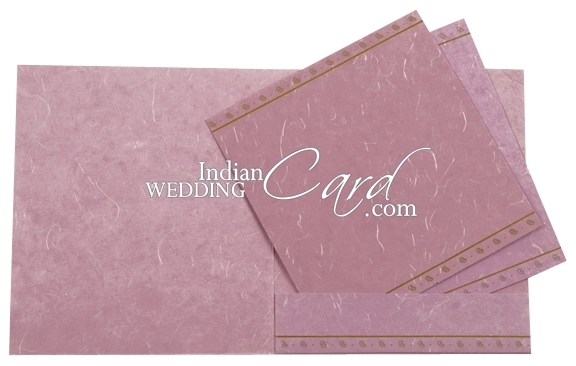 I have three more wedding in the family which will be commencing and will certainly be using as well as recommending Indian wedding card service in the near future. We just received our Wedding Scroll Invitations and we are 110% Satisfied!! We are so Happy bec. its so beautiful & elegant! It was done professionally. It was even arranged accordingly, the RSVP Card and Insert are all inside the Envelope. Wow such a wonderful customer service! My dealings with the Service Dept. was amazing, they understood quickly what i want and delivered it on a timely manner. I received our invitations w/in 2 weeks only! JOB WELL DONE, KEEP UP THE GOOD WORK and More Power To You!!! Thank you so much for making sure I recieved my correct invitations in time. I received the package Friday morning as promised and was very happy and satisfied...my scrolls looked perfect. Thank you for correcting the mistake. My family and friends will continue purchasing all of our invitations from you! Just want to say a big thank you. The cards arrived yesterday and they are beautiful. I m a very happy customer and will definitely be recommending you to friends and colleagues.